[T]he reality of what really drives the rural American economy is Wal-Mart and the 39 other companies in the Yonder 40. Finally, there’s a stock index that tells rural America how it’s doing. This is the Yonder 40, forty companies that reflect the economy of rural America. What does the Yonder 40 tell us? This is an interesting idea — an economic indicator of the relative health of rural America. But what will we really know when the Yonder 40 soars, and when the Yonder 40 falls? With stocks like Wal-Mart, Tyson, Smithfield, Monsanto, and ConAgra included in the index, the economic health of rural America might in fact be measured as an inverse of the Yonder 40. When Wal-Mart is doing well, businesses up and down main street in rural communities are being driven out of business. And when Wal-Mart is doing well money is being sucked out of rural communities, destined for the pockets of rich urbanites. When Smithfield is doing well, farmers aren’t receiving a fair price for their livestock. And when Smithfield is doing well, family livestock producers are being put out of business. And so it goes for a number of the stocks in the Yonder 40. So, what does the Yonder 40 really tell us? We sorted through about 3000 stocks before we selected the sainted 40. It would have been nice had we come across investable public companies that represent farmer cooperatives, rural electric co-ops, or worker-owned coal mines and sawmills. There ain’t none. No fan of the Daily Yonder may be comfortable with it, but the reality is that Thomas Jefferson’s vision of America as a nation of farmers and toilers in the soil is as dead as our third president. Or at least that’s what you find when you try to construct an index using SEC registered and stock exchange listed companies for rural America. Had we tried somehow to value the private companies that deal with rural America, impossible as that probably is, we would also have had to list Cargill and Koch Industries and the Chicago Board of Trade as well as the little bitty businesses that dot our small towns. While briefly lamenting the downfall of the small farmer, the farmer cooperative, and the locally owned sawmill, Jim stands by his original assertions. He further asserts that the stock price of companies like Wal-Mart, Smithfield and Monsanto are a representative corollary to the economic well-being of rural America. I feel the need to further explain my objection. In outlining my objection, I will stick with Wal-Mart as an example. However, my objection is not about Wal-Mart per se, and the argument can be easily extended to Smithfield, Monsanto, or a number of the other companies that comprise the Yonder 40. A shuttered building on Main Street in Lyons. If you walk down Main Street in Lyons, Nebraska (population 960) where I live it doesn’t take long to start to understand the result of the Walmartization of rural America. A solid 50% of the buildings on Main Street are simply closed, boarded up or vacant. With a lack of economic activity on the street, even some remaining businesses are open sporadically at best. A few can still be counted on to be open every day, but of those, one often wonders how they manage to stay open and how many more years they will hang on for. It hasn’t always been this way. But ever since Wal-Mart began their concerted campaign to infiltrate rural America, and stake their business model on gobbling up an ever-increasing share of rural retail activity, small businesses up and down Main Street in Lyons and small town streets like it across the country, have been shuttering their doors (pdf). Every time one does it means a loss of local jobs and local economic activity. These are losses that often have ripple effects throughout a community. Wal-Mart is most often located in a nearby mid-sized town, and even if one does drive to Wal-Mart to work, the jobs don’t pay what the local jobs did. To add insult to injury, Wal-Mart’s profits are wired to Arkansas at the close of business every day. With them goes the multiplier effect of money spent locally. In short, this is to say, when Wal-Mart does well rural America does poorly. But let’s look at some numbers too. From 1990 to 2000 Wal-Mart stock rose from an adjusted daily close of $6.45 per share to $53.31 per share. That is an 8-fold increase. Following the logic of the Yonder 40, this should be an indication of rising prospects for rural American during the same time period. But rural America did not fair quite so well during the 1990s. Swept Away, a study done by Jon Bailey at the Center for Rural Affairs, reports that while per capita earnings for metropolitan counties in the states studied rose steadily between 1990 and 2000, rural farm and rural non-farm per capita earnings were essentially stagnant in real dollars. 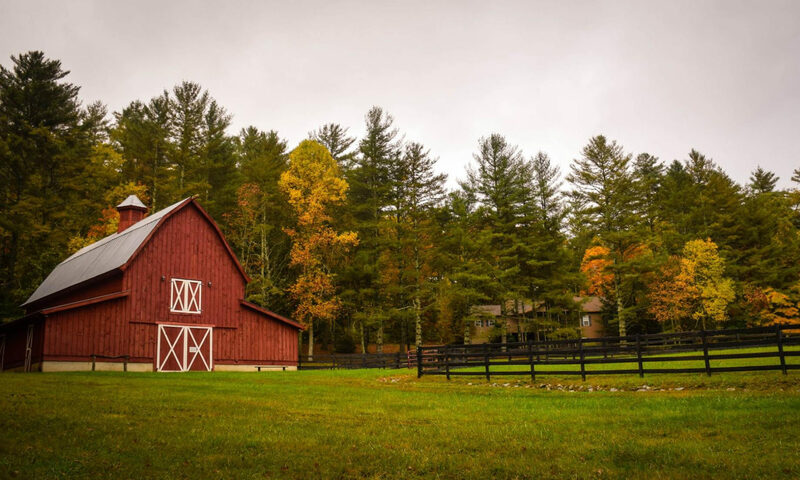 At the beginning of the decade, the average person in rural farm counties earned 58 cents for every dollar earned by the average person in a metropolitan county. But by 2000, the average rural farm county resident earned only 48 cents for every dollar earned by a metropolitan county resident. During the same time period, metropolitan counties also saw a job growth rate of 25%. Rural farm counties experienced job growth at a rate just 1/5 of metropolitan counties. In the 10 year period in question Wal-Mart stock doubled, and then doubled, and then doubled again. However, for every year of that period, rural America slipped further and further behind the earnings and job growth of their fellow metropolitan residents. During this time period rural America also continued to lose population, watch the number of farmers decline, and watch the younger generation depart for the city. So, there does not in fact seem to be a positive correlation between Wal-Mart’s stock price and the overall economic health of rural America. While I use Wal-Mart as the focus of my rebuttal, I will stand behind my argument in reference to the entire Yonder 40 index. In his response to me, Jim Branscome also counters my critique by arguing that the companies in the Yonder 40 were used in part because there are a limited number of publicly traded companies to choose from. Home-grown businesses that might actually tell us something about the economic prospects of rural America aren’t traded on the big stock exchanges. However, that is not a reason to argue that the companies that do comprise the Yonder 40 are positively related to the economic fortunes of rural America. If anything it reveals a crack in the methodology behind using a stock index to measure the economic health of rural America. At the end of the day, I would actually argue that this is close to the truth. I doubt there are very many companies that are traded publicly that have a positive correlation with the economic (and social) health of rural communities. All that being said, I think we should keep the Yonder 40. That might seem like a strange conclusion, but I think it does tell us something. When Wal-Mart’s stock goes up, another small business that was the life-blood for a rural community somewhere will shutter its doors. When Monsanto’s stock goes up, you can count out another family farmer whose children would enroll in rural school struggling to maintain enrollment. And when Smithfield’s stock goes up, you you can bank on more environmental degradation from large livestock facilities – degradation that has a negative environmental, social and economic impact for rural communities. That is to say, when the Yonder 40 soars we best expect troubled times ahead for rural America. This post reminds me of Michael Pollan’s description of “supermarket pastoral” big organic companies in “The Omnivore’s Dilemma.” To measure things like the health of rural America, we want to be able to look at 40 companies. Just like supermarkets want to get the bulk of the food they sell from few distributors. So in the end you have to go with big names. That being said I guess that the health of rural America is a subjective standard. You want to see vibrant local communities, the Daily Yonder wants to see a large number in the production column. I’ve always sympathized with Jefferson, too, I’m with you. But maybe the majority will always be with the other guys? Thanks for all of this, and for expressing your view on the Daily Yonder about how the success of these companies may be at odds with the fortunes of people living and owning businesses in small towns. Companies that focus on ag and energy have done pretty well, and those that own retail stores in small towns are doing poorly – indicating that within rural, there are some big twists. Everyone’s not up and down at once. I agree with you– that the point is to track how the fortunes of national companies (and shifts in government policy and much else) are tied into the well being on people living in rural places. That’s what we’re trying to discern. I’m for continuing with the Yonder 40 because I think it may be able, in the longer run, to reveal part of the picture.